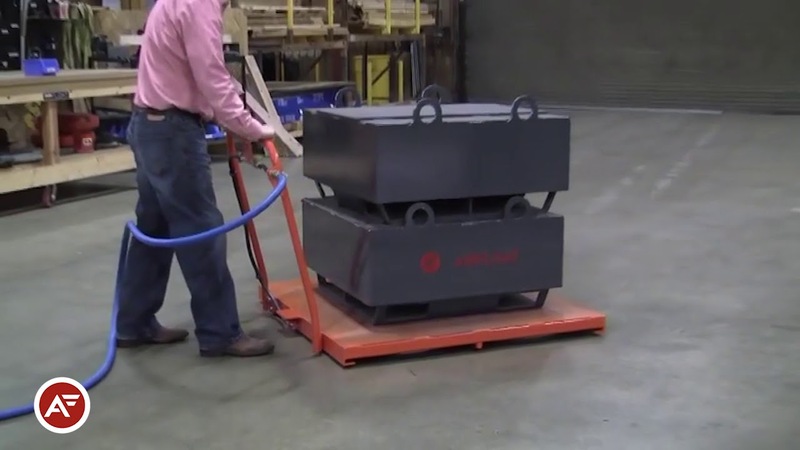 Airfloat Utility Platform allows an operator to efficiently move pallets or any large heavy load up to 12,000 lbs with ease. 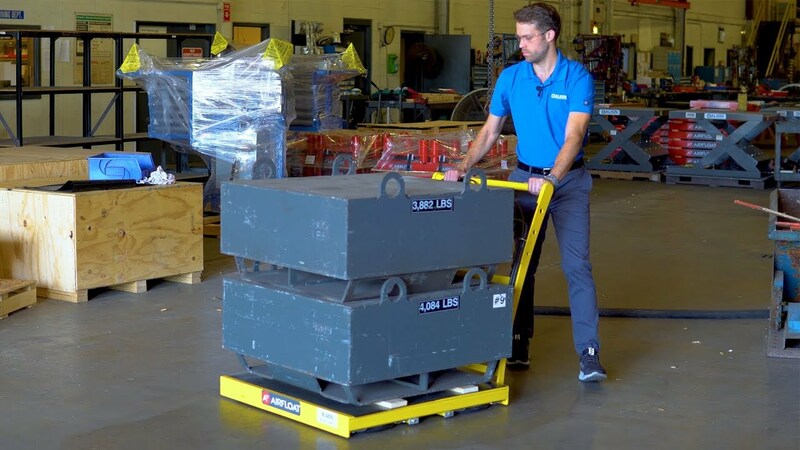 Using Air Caster technology, Utility Platforms provide near friction-free movement in any direction, making them an alternative to wheeled carts and forklifts for moving pallets and heavy loads. 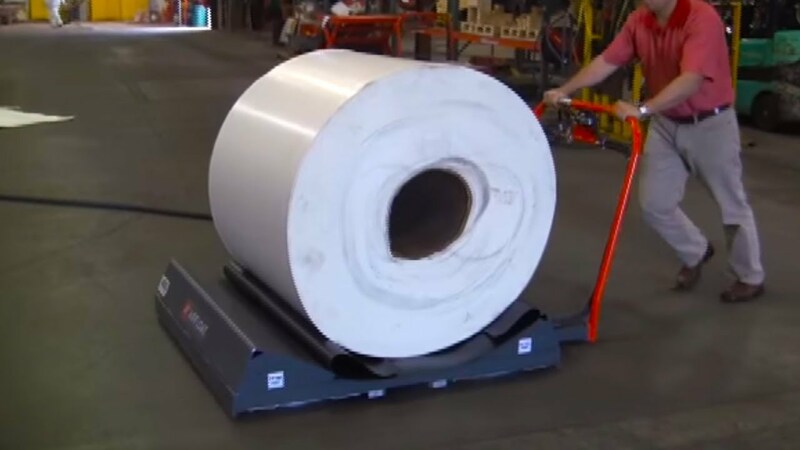 Our platforms also feature a retractable guide wheel, which makes maneuvering large loads easier. As with all of our product lines, our Utility Platforms are designed and made in America with full steel construction. To view and configure our standard Utility Platform models, as well as view technical drawings, spec sheets, and user manuals, visit our eCatalog.